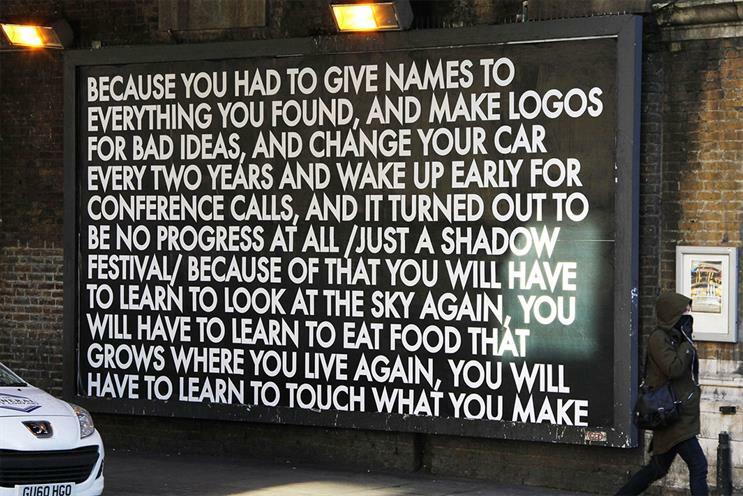 The street artist known for taking over billboards with poetry believes advertising has the power to create social change and warns creatives against cynicism. "The spectacle of advertising creates images of false beauty so suave and so impossible to attain that you will hurt inside and never even know where the hurt comes from." Montgomery is known for taking over billboards and replacing ads with what he calls "concrete poetry," so given his work you might assume that he hates advertising. But in fact the Scottish artist believes the industry wields great power, and he says brands and agencies have a responsibility to create positive change in the world. Speaking at D&AD Festival in London this week, Montgomery warned the creative crowd against cynicism. "I imagine a new world where agencies become the moral crusaders of our society," he said. "There is an opportunity for brands to become flag bearers of hope." As an artist in Shoreditch Montgomery began working with billboards over a decade ago because he felt they "owned" his city, and he recognised the powerful effect advertising can have on people’s subconscious minds. Called a "text-art Banksy," he has since transformed numerous urban outdoor sites with his signature white-on-black text, as well as creating other works of art such as solar-powered light pieces and poetry installations that he set on fire. 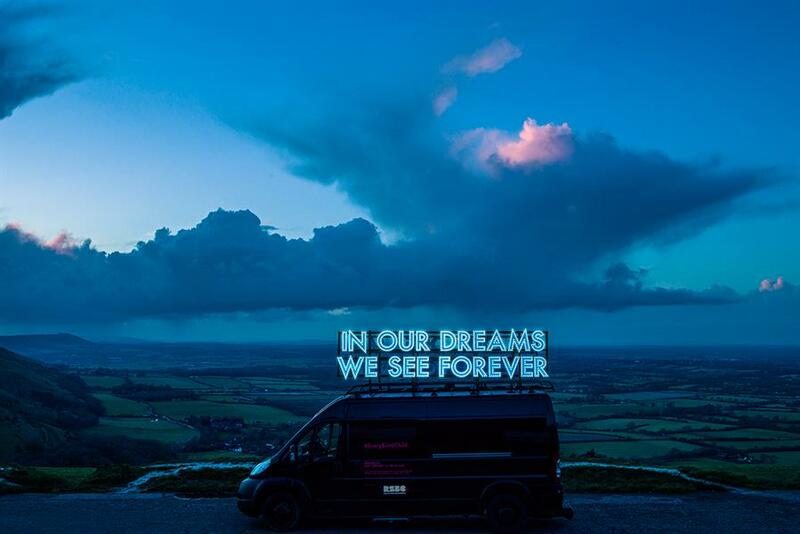 In 2017 Montgomery collaborated with Jack Agency to take over five major sites in East London with his poetry, and earlier this year he partnered with the Royal Society for Blind Children and Crispin Porter & Bogusky on a project that illuminated the words of visually-impaired children. Montgomery told Campaign that he is against "extreme capitalism" but not necessarily advertising if it is used in a responsible way. Brands and agencies "don’t always feel free to be as engaged and caring as they are," he said. "You can build better brand equity by doing socially progressive things, and an agency is a great place to give brands the confidence to do that." Agencies also play a valuable role in fostering creativity and artistic freedom, he added. Montgomery pointed to his recent work for the RSBC, during which CP&B creative directors Dave Newbold and Jim Eyre "actually protected my creative space the most." Amid shifts in the advertising industry, as well as wider political turmoil, Montgomery offered a big call to action for creatives, urging them to step in when political systems fall short. "It’s all about understanding that globally we need so much change, and this isn’t going to be done by governments or political systems alone. We need a whole societal effort," he said. "Brands have a big share of voice, so they need to be agents of social progress."